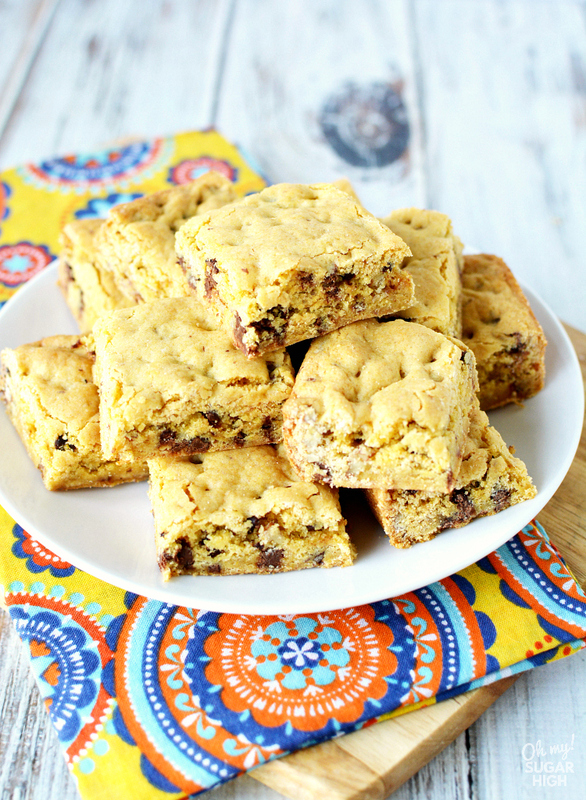 If you love soft cookies you’ll love these chocolate chip cookie bars! 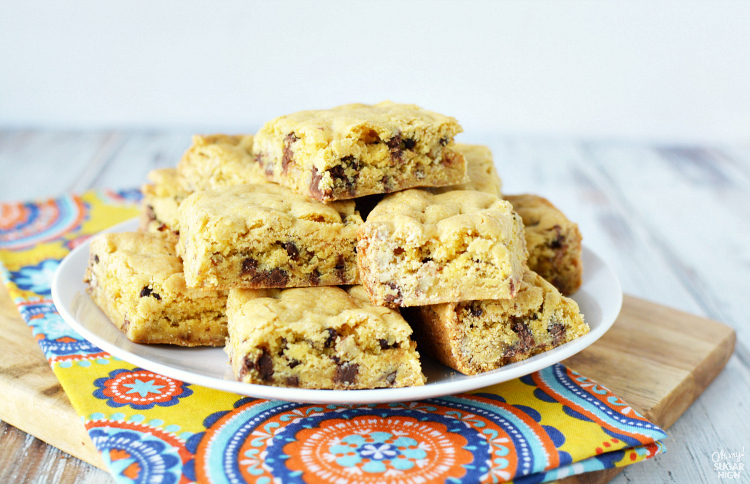 These cookie bars made from a cake mix are dense, chewy and oh so delicious. Bake up a batch today and watch them disappear quickly! While I love baking cookies, sometimes I just don’t have the time. 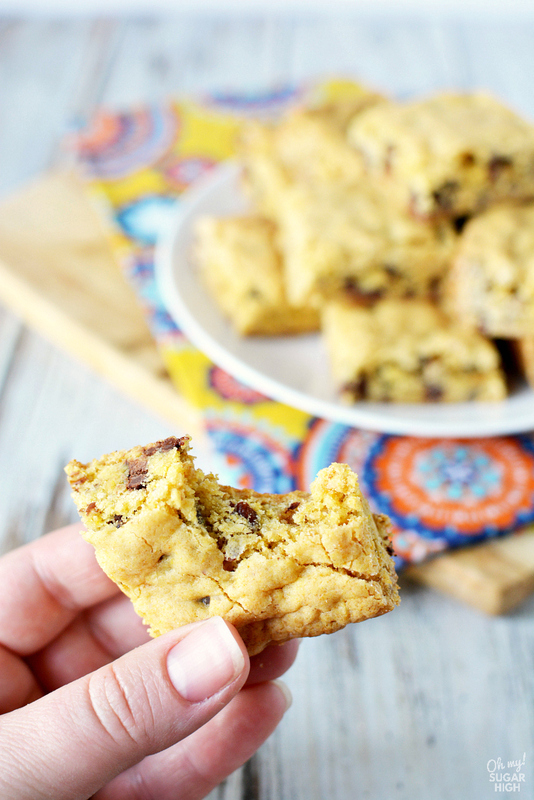 I already have an awesome recipe for the best chocolate chip cookies from scratch but when I when I need something easier, I turn to cookie bars made with a cake mix. 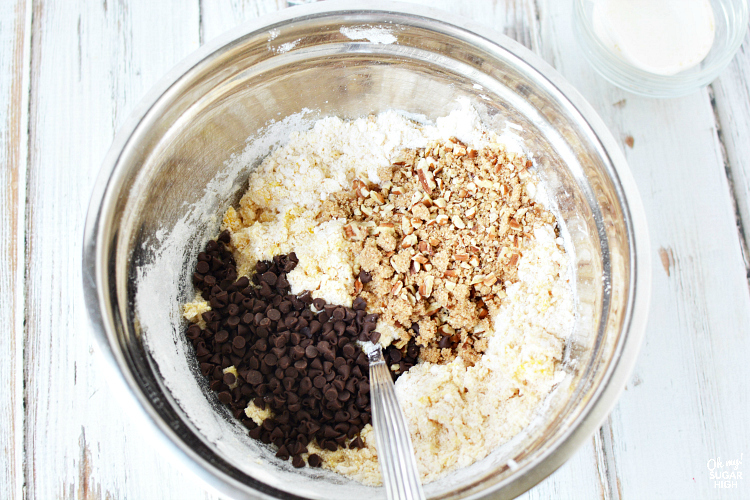 Making cookie bars with a cake mix is really easy. 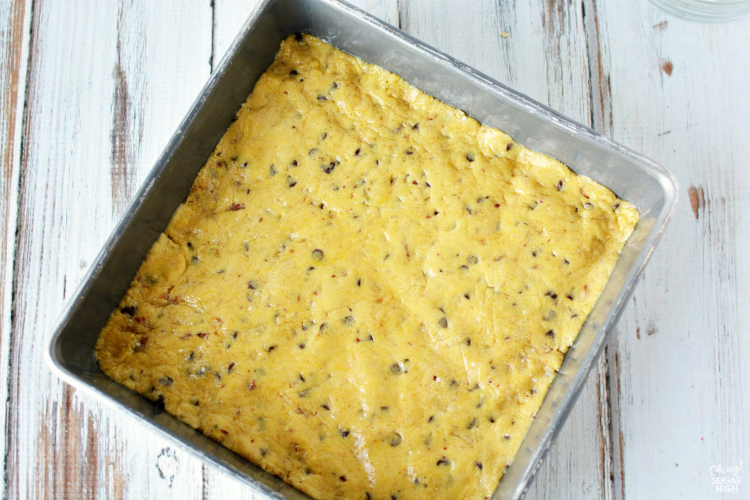 This recipe makes a small pan of cookie bars so you’ll need a small box of cake mix. A box of Jiffy brand yellow cake mix works perfectly. Using a cake mix for your base results in moist and chewy cookie bars. It also eliminates the need to measure out more ingredients. This recipe does include chopped walnuts which adds a nice texture but you could leave them out if you are allergic or not a fan of nuts in cookie bars. This small 8×8 inch square pan of chocolate chip cookie bars is perfect for when you need a sweet treat but don’t want a ton of leftovers. Whether you are cooking for two or just don’t want the temptation, this small batch of bars is just what you need to satisfy your cravings. This recipe will net you 9 to 12 servings, depending upon how big you cut them. When you take a bite into this sweet sweet treat you still get that chewy chocolate chip cookie taste you love! The hardest part is resisting the urge to eat more than one (or two!) in one sitting. The struggle is real with these cookie bars! Preheat oven to 350 and grease an 8" square baking pan. Bake for 20-25 minutes or until center is set. Cool completely before cutting into bars. 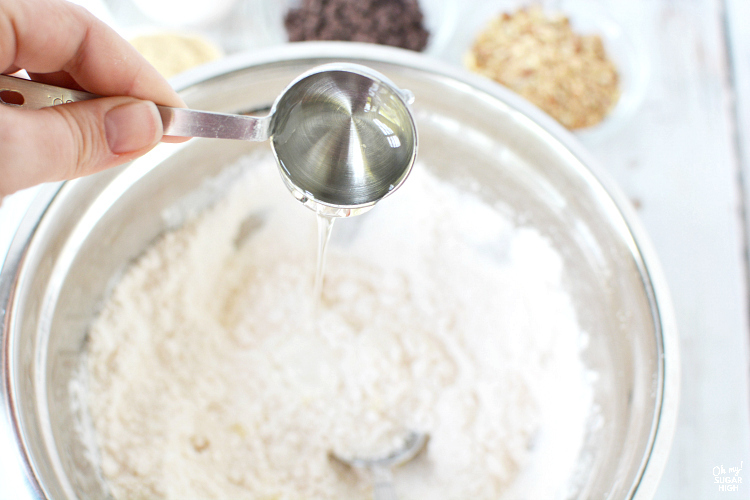 Tip: When mixing you may be worried and think that you need more water, but give it time and take your time mixing and blending the ingredients. Your dough will come together. Love making bars? (Me, too!) Here are some more great bar recipes to add to your recipe collection. 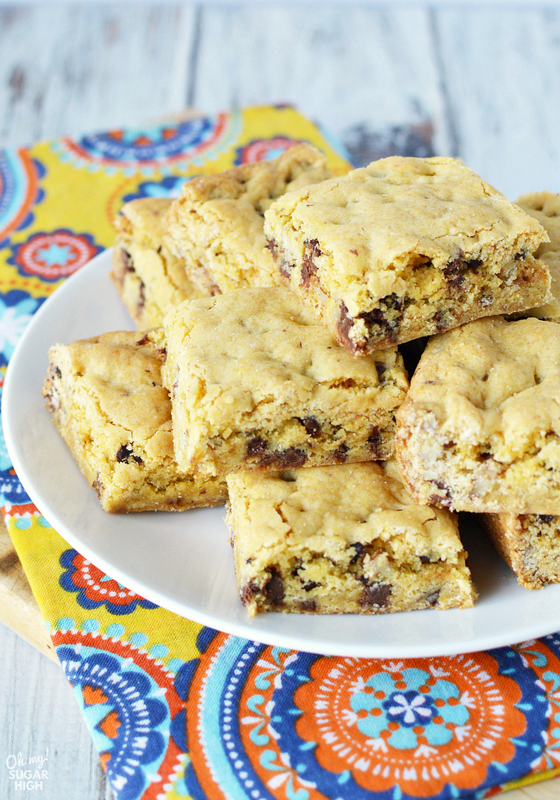 Thanks to Kari from Craft Create Cook for this sweet chocolate chip cookie bar recipe.